Mahasivam AMPALAM Death Notice: Mahasivam AMPALAM’s Obituary by the The New Zealand Herald. AMPALAM, Mahasivam (Sivam). 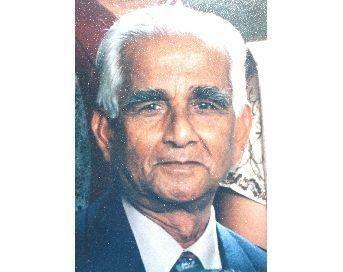 JP Son of the late Ampalampillai and Nagammah, passed away following a short illness on Sunday 13th of January at Auckland hospital emergency. The most devoted husband to Thangaratnam Mahasivam and the most caring father of Ravishanker, Shyama and Umashanker. An extremely loving grandfather to Aran, Nayani and Kaarthic. Loving brother to Sathasivam, Satchithananthasivam, Parasakthi, Thillainayagy, Devanayagy, and Yoganayagy. He was and always will be a great example of how a man should be. He had the unique ability to make any room fill with laughter. His stylish smile will be etched into the minds of everyone he has laughed with. The funeral service will be held at Purewa Crematorium, All Saints Chapel, 100 St John's road, St John's on Thursday 17 January from 3-5 pm. Viewing will be held at Morrison Funeral Chapel, 79 Line Rd, Glen Innes on Wednesday 16 January from 5-7pm. In lieu of flowers, the family of the deceased request a donation to Enliven (enliven.org.nz), a service for the elderly.